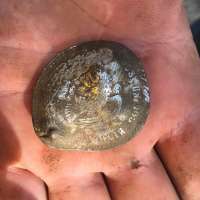 So, I was kinda bummed today that Scott had found 2 silver quarters, 4 buffalo head nickels, and several wheat pennies. While I found 1 buffalo and 1 wheat. As I was dumping out my trash, he picked up what I thought was an electrical punch out slug. 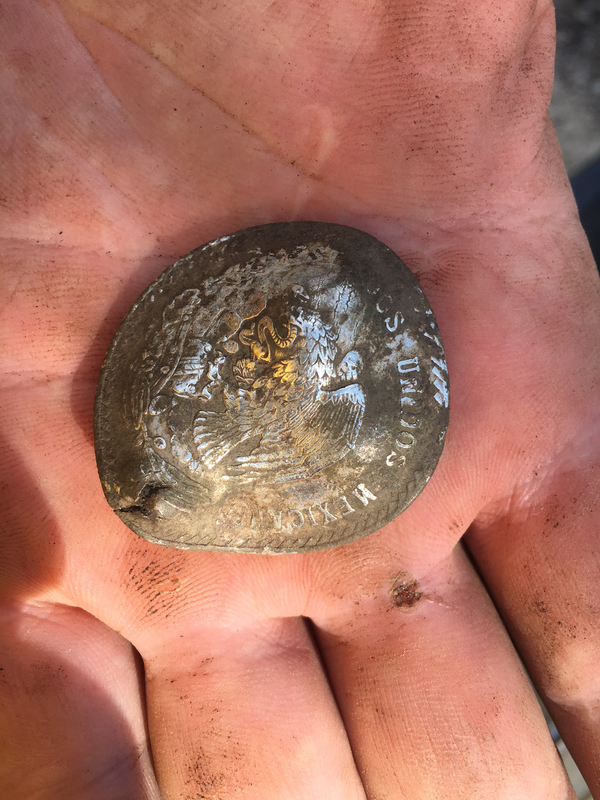 Scott started cleaning it up and discovered it was a one ounce silver Mexican peso, 1944, that for some reason had been SHOT 4 times with a small caliber firearm. Would love to know the history behind this find, and it cheered me up. I was using the AT Pro in coin mode.